The art was displayed at the TDHP fundraiser on Nov. 12. Each contestant received a signed print of Cat Spring Agricultural Hall by Fayetteville artist Pat Johnson, and a Polka On! 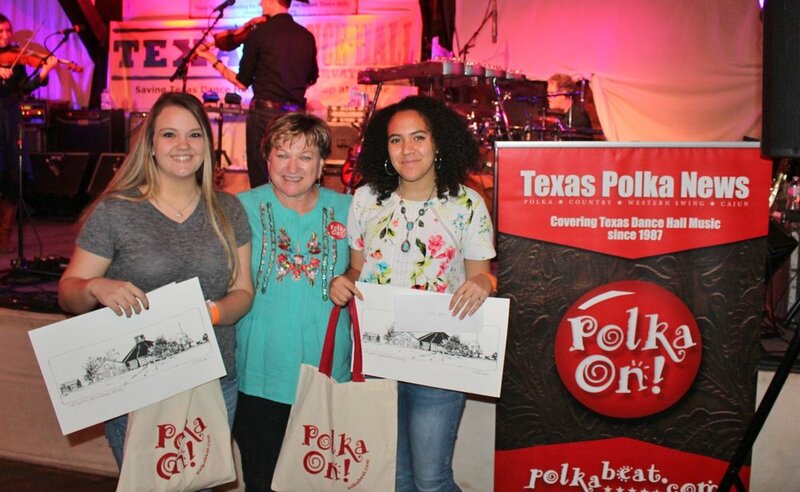 goodie bag from Texas Polka News and polkabeat.com. The four winners also received cash prizes and a Polka On! tote bag, along with a one-year subscription to the Texas Polka News. The winners shared why they entered the contest and their future plans. the dance halls because it’s a part of our Texas history. Buildings like these are no longer constructed. I plan on pursuing a career in art. them I want to go and hear some good music! Preservation of the dance halls is very important because it is the same as preserving the culture and the heritage of the people here. I entered the competition because I love living in Fayette County and the dance halls are a big part of growing up here. I have been to just about every dance hall in Fayette County. I really enjoy dancing and listening to good Texas country music. Maintaining the dance halls in Fayette County is important because it is a major piece of the culture and history of this area. I would like to attend TSTC after high school to become a diesel mechanic. I entered the dance hall competition because I admire antiques and history. This gave me a chance to express my appreciation on a larger scale. My piece allowed me to create a representation of Sengelmann Hall without using conventional drawing tools. I have been to Zapp Hall, RoundTop Rifle Hall, Carmine Hall, and the Round Up Hall! Preservation of the dance halls is important because it gives people a glimpse at how things used to be. My goal is to major in International Business and Marketing. Texas Polka News will mark its 30th anniversary in 2018. To celebrate, we’re launching a drive to reach 3,000 subscribers. 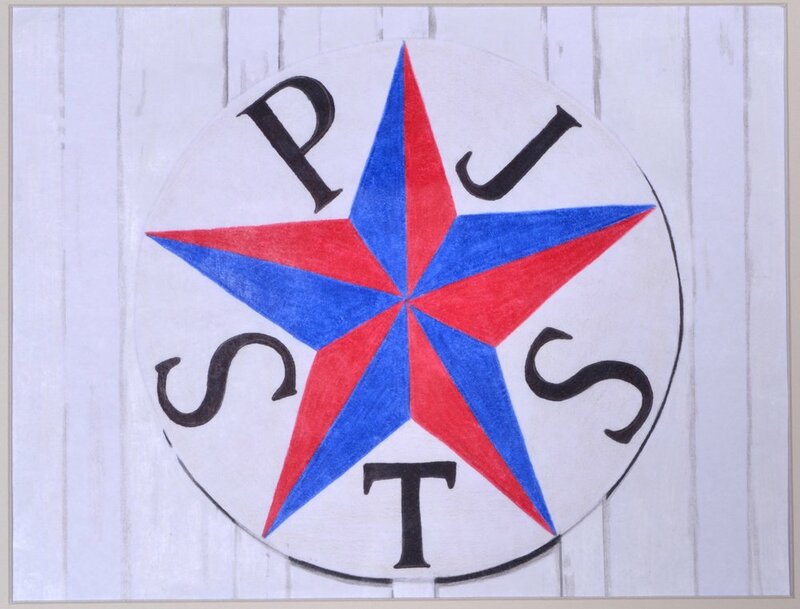 Sure, we want more people reading The News, but we also want to give back to say thanks for supporting the newspaper, polka, and Texas music/ethnic heritage. Here’s how it works: For every new subscription or renewal from now through January 2018, TPN will donate $5 of the subscription price to a dance club or music/heritage organization of your choice. Not only will your group benefit from the donated subscription money, $3,000 in prizes will be awarded in two categories in June 2018.
renewals; $500 to second place. or more); $250 for second place. school clubs, Wawel Polish dance group, Keine Kunst dance group. Texan Heritage Society, Bluebonnet Opry and other oprys, and libraries. We will be distributing campaign flyers and order forms to groups through September. Flyers and forms can also be downloaded from TexasPolkaNews.com. Questions? Contact Theresa Parker at 281-836-6362 or theresa@polkabeat.com. Congratulations to Wes Matus of Spring. Mollie B chose his poem as the winner of polkabeat.com’s Mollie B My Texas Valentine contest. Wes receives 2 tickets to one day of the RFD-TV taping in Ennis, March 8-11, along with a Squeezebox CD and 2 Mollie B Polka Party towels. And of course, he won a Polka On! shirt just for entering. Wes began playing trumpet in Seymour, Texas, in the 5th grade and all through his high school years as well. 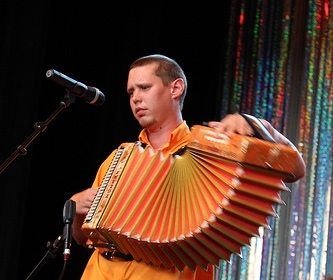 He was not really exposed to polka music until he came to the Houston area in the mid 1960s. Wes played with the City Polka Boys (now known as Texas Sound Check) for 20+ years, from 1970 till 1991. He is retired from playing music now. He started out playing trumpet and wrote all the music for two trumpet parts. He taught himself lead guitar so they could play more country and western music as time went on. Now he enjoys listening to polka/waltz music and dancing to it, too! Here’s Wes’ winning entry. There is a real sweet lady named Mollie, She can really play and sing polkas by golly. She's known as Mollie B and also a fantastic Emcee, She introduces polka bands on RFD/TV. And before these lines I finish, I have to let you know she's coming to the town of Ennis. 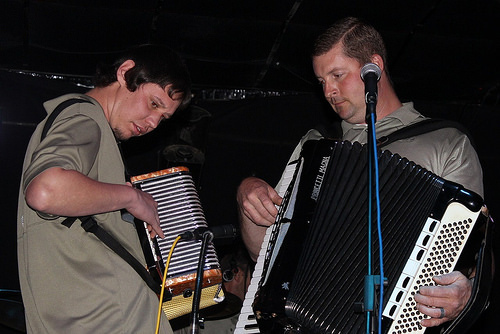 The next big Polka Party's in the Lone Star State, With Texas polka bands the event will be sooooooo great!! And I'm ready to take a spin.